Falls at home are a major cause of serious injury that can result in hospitalization. But in many cases, they can be avoided with a little prevention. Clutter creates a hazard, especially if you leave something on a step with the intention of taking it upstairs or downstairs to put away. Since stairs are a common hazard and can cause serious injury, don’t set anything on them. This includes decorative items that can obstruct your path and cause a fall. Nighttime can make it easy to slip or trip on stairs or outdoor pathways. Illuminating them with solar-powered lights for outdoors, or battery-powered LED lights for indoors, can make you – and your guests – less likely to fall. Make sure to secure your lights out of harm’s way to avoid a tripping hazard. Install skid-resistant carpet treads using double-sided tape. Small throw rugs can also cause slips because they can easily bunch up. Solve the problem by getting rid of your throw rugs or by using strong double-sided tape underneath them. 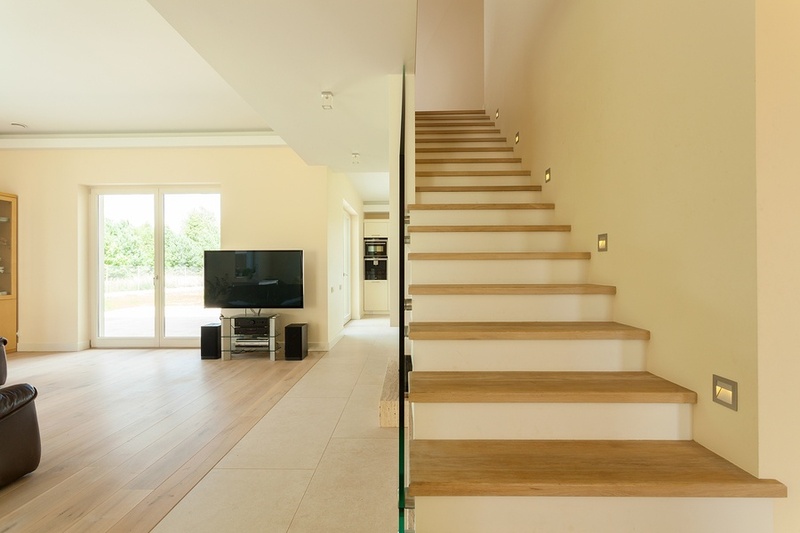 Stairs are a hazard to young children, so if you’re a parent with a child in this age group, install a hardware-mounted safety gate bolted into the wall at the top and bottom of the stairs. It should swing in only one direction and be easy for you – but not your child – to open. Try to keep kitchen tools, books, and other items you use frequently on shelves and in cabinets you can easily reach without a step stool. If you absolutely need to use a step stool, make sure it’s one with a bar at the top that you can hold on to. A slippery tub or shower can be made safer if you put non-stick decals on the inside and use a non-stick mat outside. If you have any mobility issues, grab bars in the tub and shower as well as beside the toilet can also help reduce your risk of falling. The right amount of natural light can help you avoid falls inside your home, but you’ll want to avoid glare, which can interfere with your vision and make you more likely to take a tumble. Motorized window shades can be easily raised and lowered to give you the amount of natural light you need. To find out more about preventing falls in your home by installing shades, contact Polar Shades at 702-260-6110 for a free in-home consultation. We’ll help you choose shades that can increase your family’s safety throughout your home.